Quality Assurance in MSP is focused on ensuring you have the right capability and that you are doing the right things in the optimal way and that your constituent projects are also optimal. Quality assurance will be a key part of that. BBC links to "Gateway Reviews" which is a quality assurance process. At any stage of the process you may want to use Quality Assurance to ensure that you are on the right track. 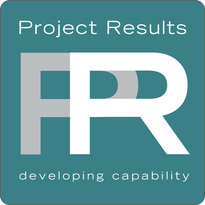 BBC extends the Business Case development life cycle into Project and Programme planning. Again this is an area to use Quality Assurance to check you are on the right track. Our December meeting will look at the formation of working groups to develop PQA resources. Be prepared to ask questions, and enter into a lively debate about how best to set up the working groups. ​Many thanks to Grant Thornton for hosting PQAF. All meetings are scheduled for 12 noon at L15 Grant Thornton House, 216 Lambton Quay. If you would like to join the mailing this please fill in the Joining the PQAF Form. Coming very soon. If you would like it now please Contact us. Our courseware is developed by Inspiring Projects a division of Aspire Australasia Pty Ltd a PRINCE2, MSP and BBC Accredited Training Organisation (ATO). This accreditation has been given by APMG, who along with accrediting ATOs, provides and moderates exams and accredits our trainers. With this level of accreditation and monitoring you can be confident of a quality course and an internationally recognised qualification. The APMG-International Better Business Cases and Swirl Device logo is a trade mark of The APM Group Limited and Her Majesty's Treasury. PRINCE2®, PRINCE2 Agile® MSP® are registered trade marks of AXELOS Limited, used under permission of AXELOS Limited. All rights reserved.